Vitamins are essential for your health, but you only need them in small amounts and you should be able to get plenty of the foods you eat. But can you get too much of any one vitamin? Yes, absolutely. While it's nearly impossible to get too much of any vitamin from eating foods, you can overdose on some vitamins if you take large doses of supplements for extended periods of time. 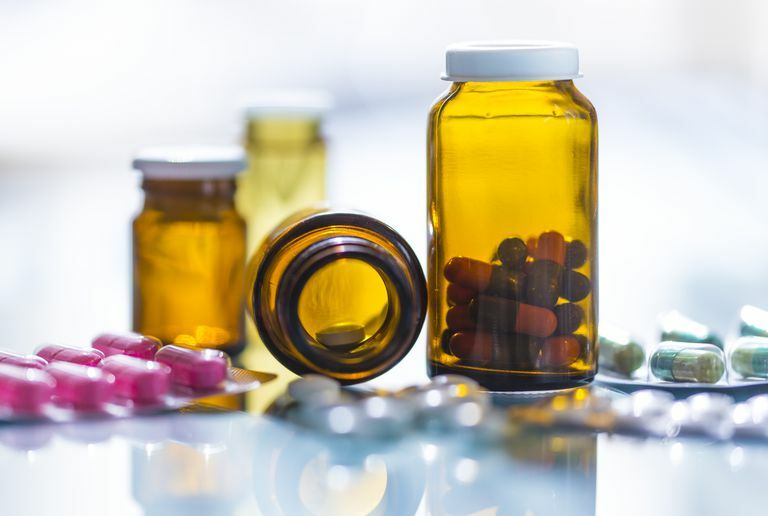 Most of the vitamin supplements you see on store shelves are sold in dosages that won't cause problems as long as you follow the label directions. But sometimes people take much larger amounts, called "mega-doses" of vitamins, hoping the supplements will help prevent or treat specific health problems. There are two problems with taking mega-doses of vitamins. First, there's rarely any scientific reason to take massive amounts of any vitamin (and then only under the guidance of your medical doctor), so you're probably just wasting money. Second, you can actually develop health problems if you mega-dose with some vitamins. Usually, the problems are reversible if you stop taking the mega-doses, but not always, so if you realize you've been taking a vitamin in a large dose, please contact your doctor right away. Which Vitamins Are Bad When Taken in Large Doses? The Food and Nutrition Board of the Health and Medicine Division of the National Academies of Science, Engineering and Medicine have established Tolerable Upper Intake Levels (UL) for all vitamins and minerals. The UL is the highest level of daily intake of a nutrient that's not going to pose any risks to a healthy person. Vitamin D helps your body absorb and utilize calcium, so if you don't get enough vitamin D you run the risk of weakened bones and osteoporosis, among other things. Most adults need 600 International Units (IU) every day. You don't get much vitamin D from food, but your body makes it after your skin is exposed to sunlight. Vitamin D is a popular supplement, but you can get too much if you mega-dose every day. Taking too much vitamin D in the form of supplements can raise your blood levels of calcium, which can be bad for your heart and kidneys. You won't get too much vitamin D from excessive sun exposure, and it's extremely difficult to get too much vitamin D from your diet. An adult needs about 15 mg per day.